NFL commissioner Roger Goodell has upheld Tom Brady’s four-game suspension for his role in the Patriots’ Deflategate scandal. 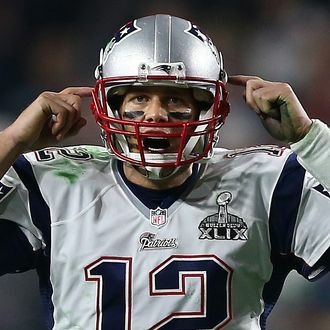 Brady had appealed the suspension, and though the league and the NFL Players Association had reportedly been in settlement talks in recent days, the future Hall of Fame quarterback reportedly wouldn’t accept any deal unless it included no suspension and made clear his punishment was for failing to cooperate with the investigation and not for breaking football rules. A report last week said that if the decision in Brady’s appeal included any suspension at all, he would challenge the ruling in federal court. In other words: Stay tuned.